Plenty to report again. 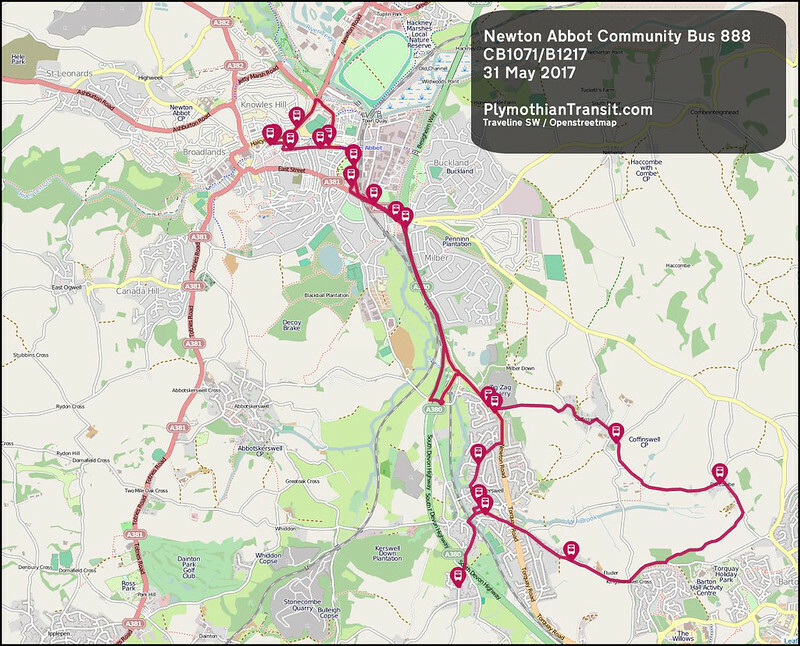 Country Bus make a few changes with a couple of their routes being transferred to Newton Abbot Community Transport. 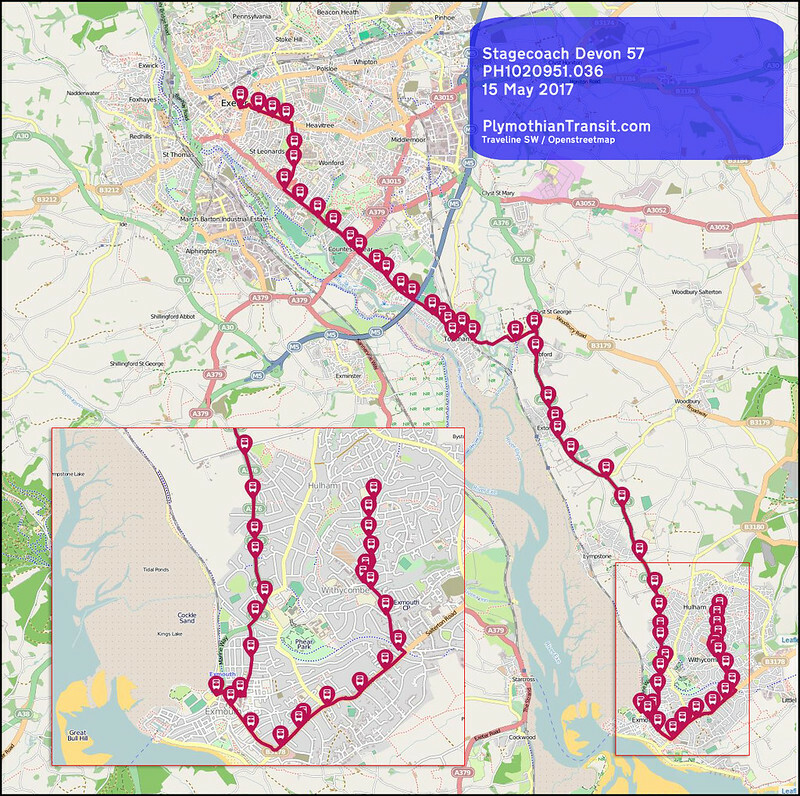 Target Travel take a route from Jacketts Coaches. 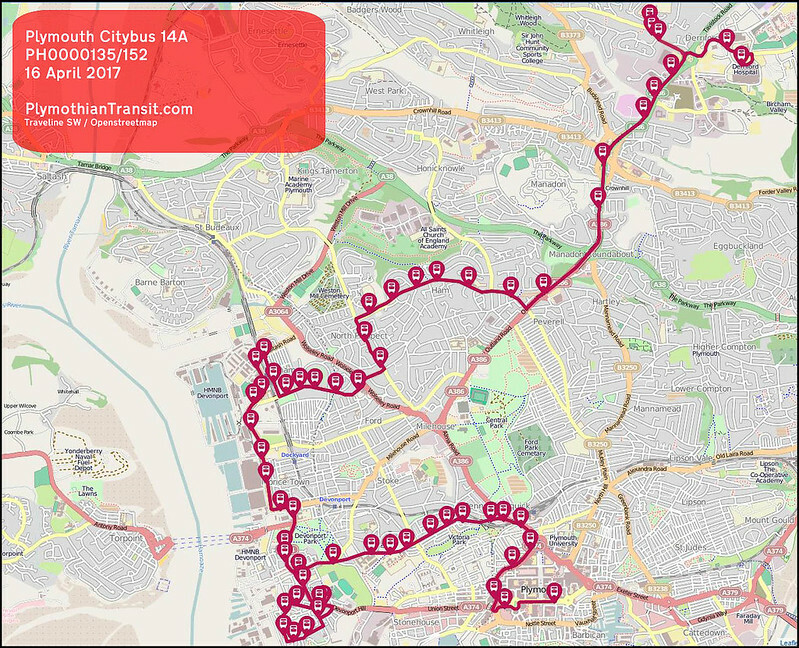 Plymouth Citybus make a couple of minor changes. Axe Valley extend one of their routes and change times on the other one. Finally Stagecoach have quite a selection, mostly to do with the ending of roadworks in Exmouth. 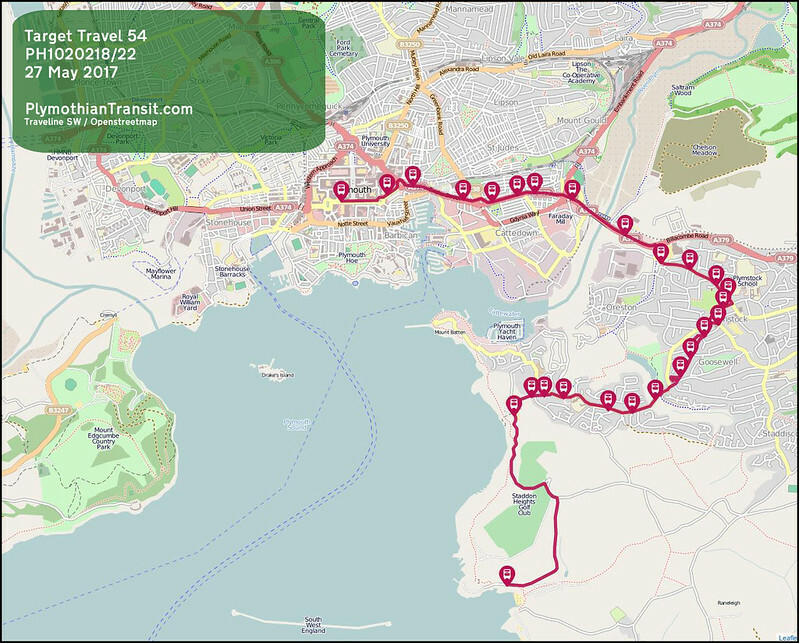 One issue which has come to light as I have been putting this post together is that there are quite a few gaps on Traveline with some service changes below not appearing on the site. 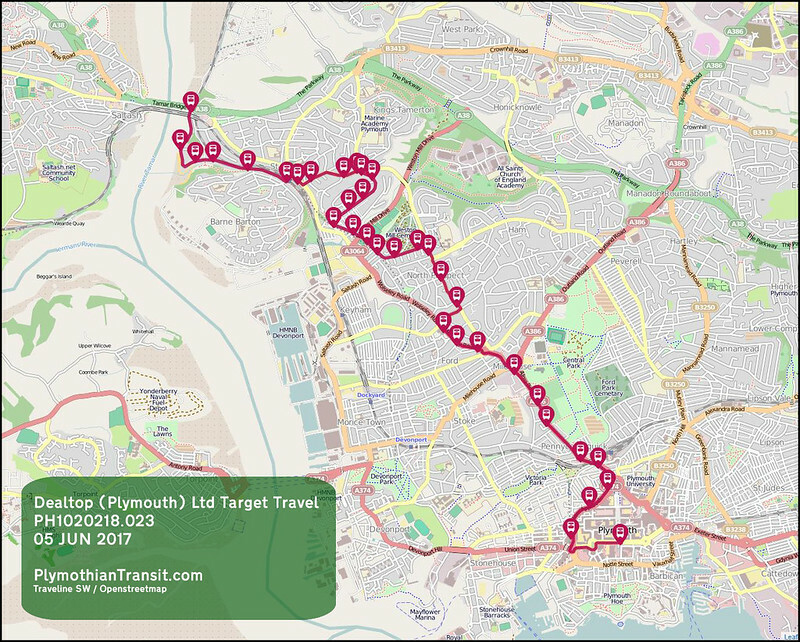 This includes Plymouth Citybus 34 which according to Traveline no longer runs. Hopefully this is just a temporary delay. 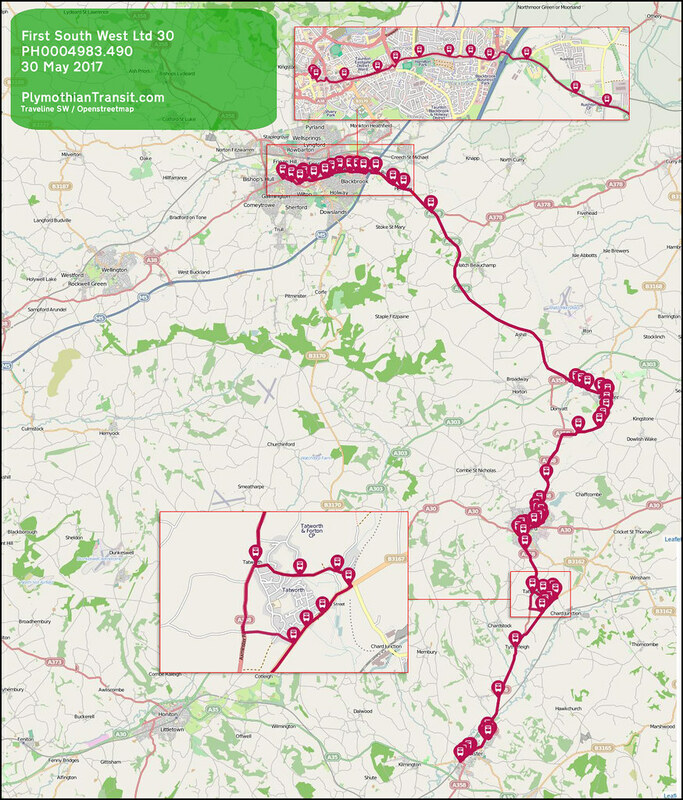 In order to avoid the need for a reverse turn at Perry Street, the 1810 journey from Taunton, on arrival at Tatworth Church, will run directly along the A358 and turn into Perry Street at Crewkerne Turning as per on journeys from Axminster. 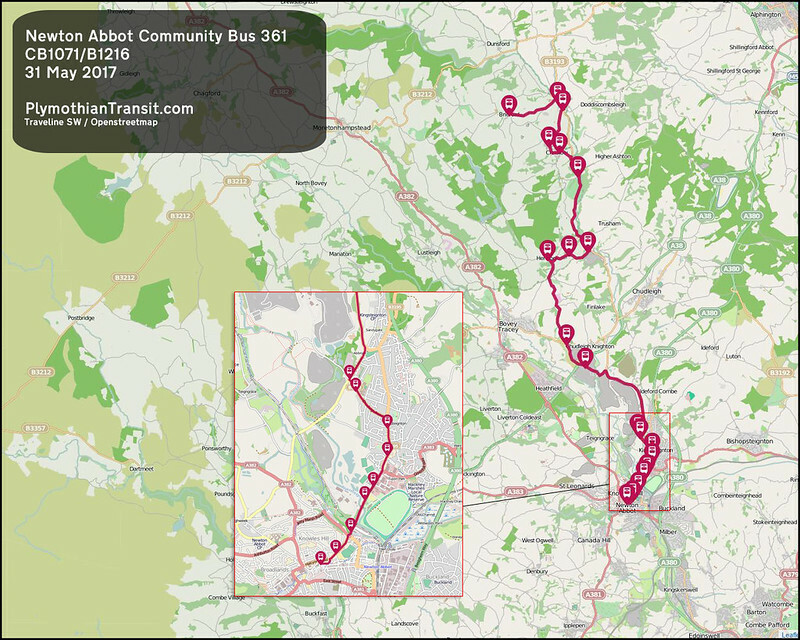 All stops between Tatworth Church and Perry Street Crossways will be served as part of the return journey. Address: Multi Storey Car Park, Sherborne Road, Newton Abbot, Devon, TQ12 2QY. 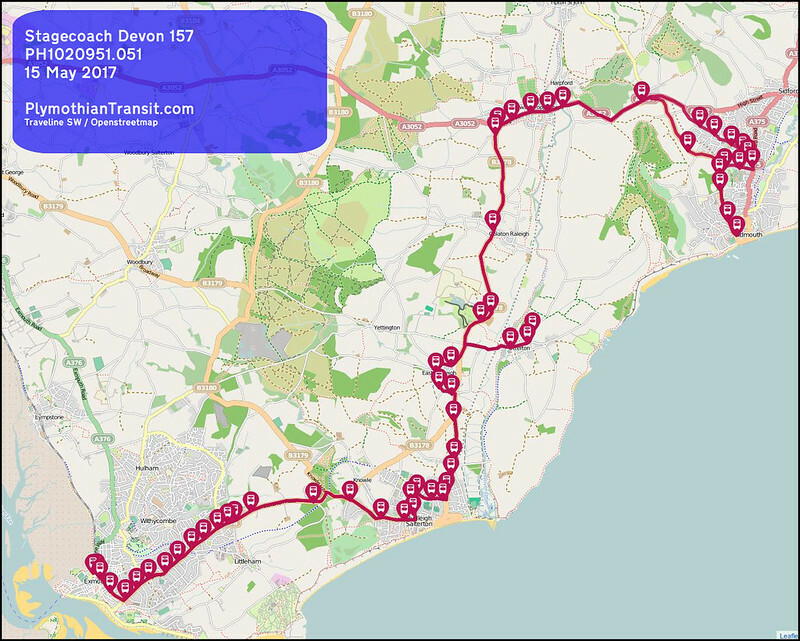 Other Details: Monday to Friday 0755 journey from Devonport to Derriford Hospital advanced to 0749. Due to the funding for the 34A ending this service will be withdrawn. 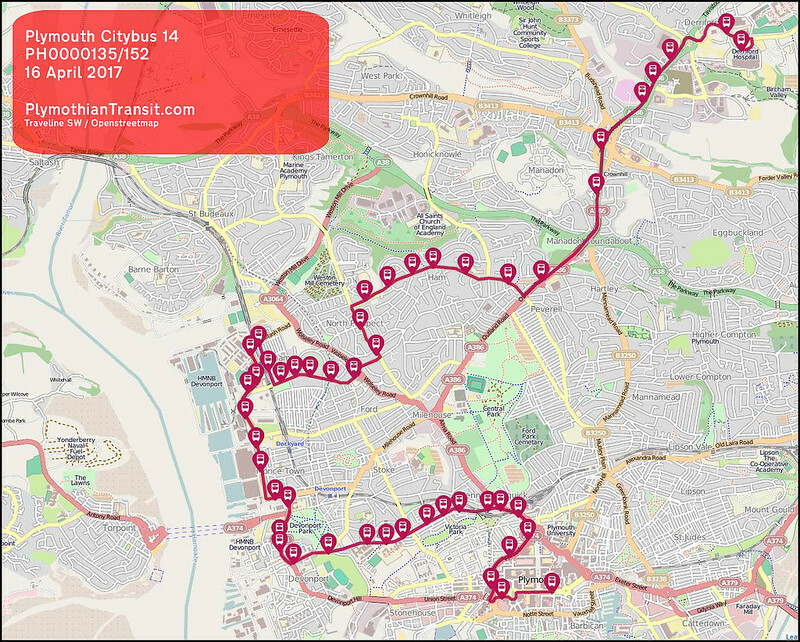 However the 34 will be re timed to improve overall reliability and will have additional evening journeys between the Royal William Yard and the City Centre. New Undertaking: Vehicles with eight passenger seats or less will not be operated under the licence without the prior written agreement of the traffic commissioner who may require you to agree to certain undertakings. Attached to Licence. New Undertaking: Limousines and novelty type vehicles are not to be operated under this operator’s licence. Attached to Licence. 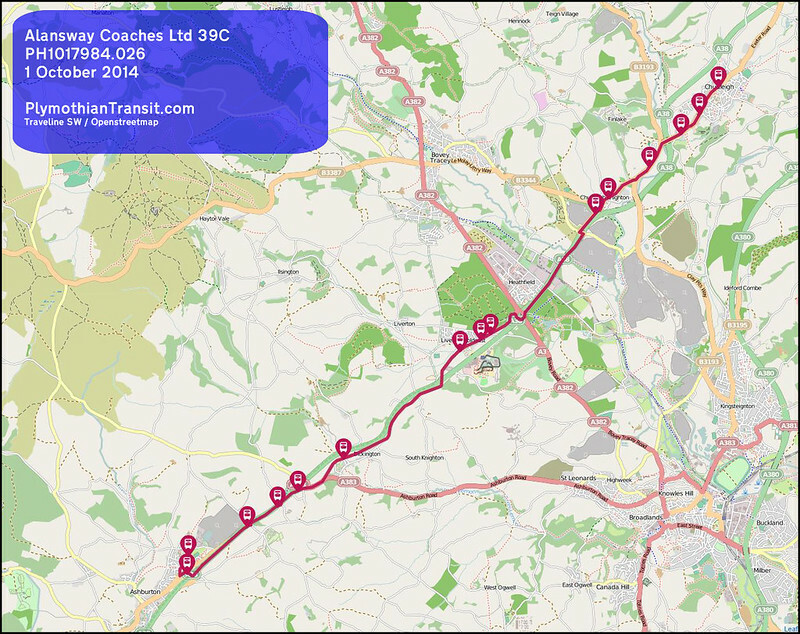 Details not updated on Traveline so Devon CC timetable from booklet linked to below. From 28 May 2017 we are introducing revised timetables on our 39 and X64 routes. 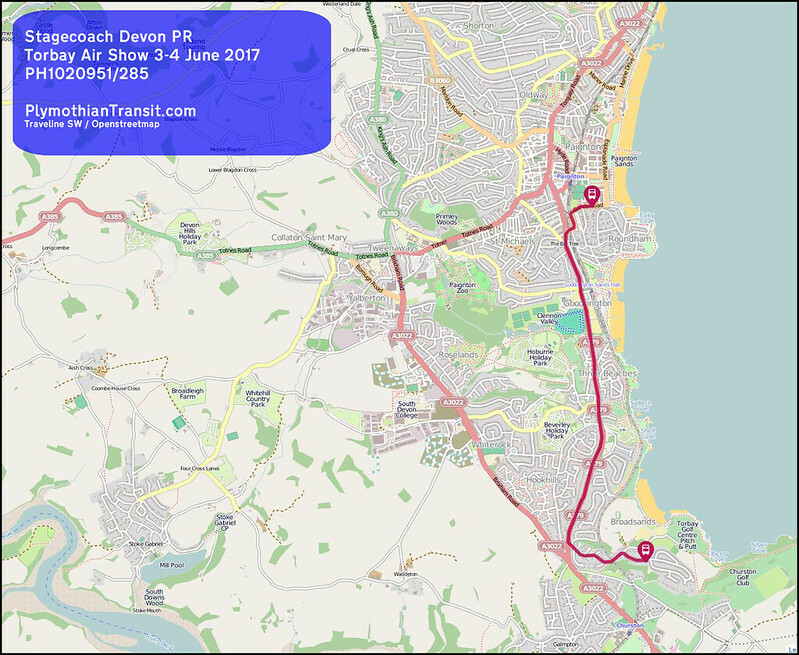 Other Details: To revert to previous registration - Exeter Road, Exmouth road closure finished. 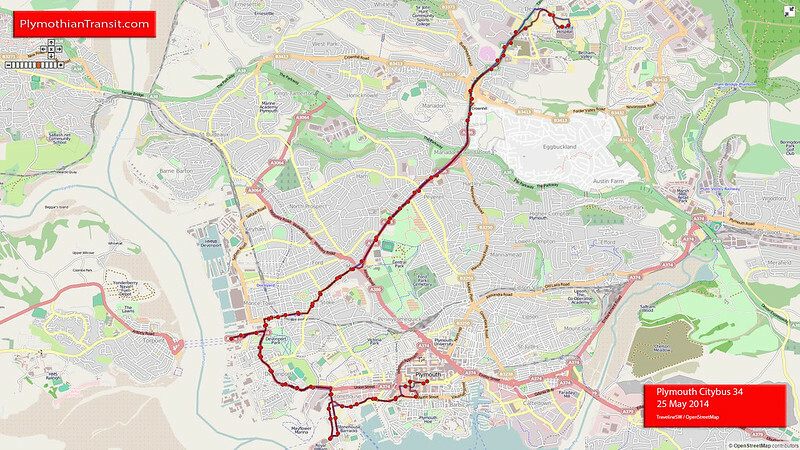 To revert to previous registration - Exeter Road, Exmouth road closure finished. To revert to previous registration - Exeter Road, Exmouth road closure finished (no change to 257). 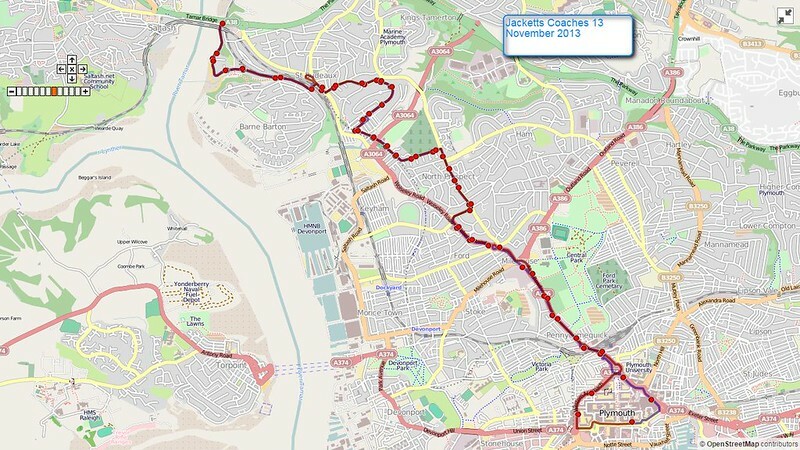 To revert to previous registration - Exeter Road closure finished. 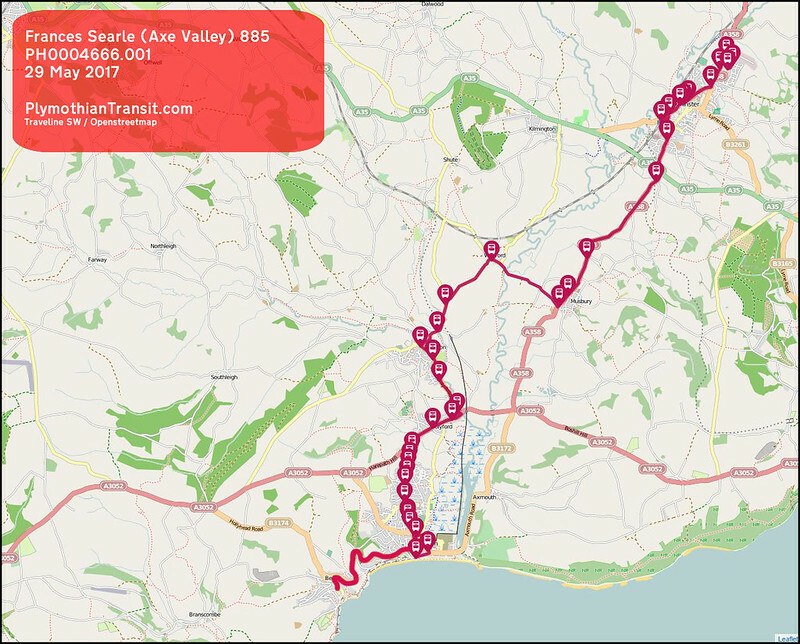 Traveline having map issues but reverted to previous route so older map reused below!